We distributed 246,789 pounds of food to 422 households. Most clients visit at least monthly for a full shopping experience that includes chicken, meats, eggs, dairy products, household supplies and personal care items. Many count on us weekly to acquire enough food to feed their families. All of our clients have access to fresh fruits, vegetables and bread each day we are open. More families count on us during the holidays and winter months as they stretch their dollars to cover increased heat and electricity costs. Typical clients include working families trying to make ends meet, people experiencing a temporary job loss, individuals whose SNAP (food stamps) benefits are reduced, and seniors. Seniors often seek help because most are on a fixed income and are impacted by higher medication and health care costs. As a private, nonprofit organization, we depend entirely on donations from individuals, corporations, foundations and other strategic partners. We receive NO funding from the town or state. There is no charge to clients for Pantry items or services. Healthy Futures Market that offers fresh fruits and vegetables which are not affordable for many families. Emergency food bags and seasonal items, such as holiday meal packages, are also provided. Learn how to get help. Because we are a “client-choice” pantry, visitors are empowered to select only what they need to meet their own personal dietary needs. Many pantries provide fixed boxes of food where clients do not have an opportunity to choose their items. Only residents of Franklin can officially register with the Pantry to receive ongoing support. However, emergency packages of food are provided to those in need who come to the Pantry for hunger relief. 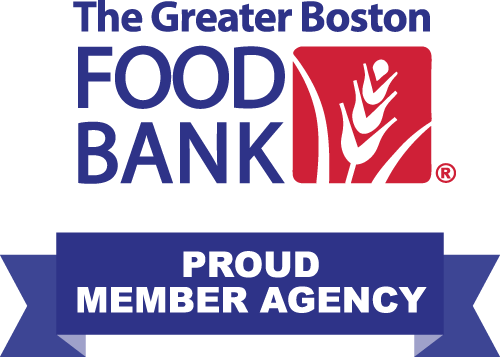 As a member agency of The Greater Boston Food Bank (GBFB), the Franklin Food Pantry is part of the GBFB objective of providing at least one meal a day to those in need. Learn more about this partnership. More information about the Pantry is available in our Report to the Community.